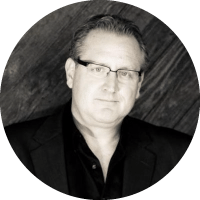 Mark W. Schaefer is a globally-recognized blogger, speaker, educator, consultant, and author who blogs at businessesgrow.com — one of the top marketing blogs of the world. As Executive Director of U.S.-based Schaefer Marketing Solutions, he specializes in marketing strategy and social media workshops. Clients include both start-ups and global brands such as Adidas, J&J, Dell, AT&T, U.S. Air Force, and the UK government. Mark has advanced degrees in marketing and organizational development and holds seven patents. He is a faculty member of the graduate studies program at Rutgers University and is the author of six best-selling books: KNOWN, Social Media Explained, Return On Influence, Born to Blog, The Content Code, and The Tao of Twitter, the best-selling book on Twitter in the world. The Content Code was named one of the top five marketing books of 2015 by INC magazine. His books have been translated into 12 languages and can be found in more than 700 libraries worldwide. He is the co-host of The Marketing Companion, one of the top 10 marketing podcasts on iTunes. In 2015 Mark was the seventh-most mentioned person by CMO’s on Twitter and is among the Top 10 most re-tweeted marketing authorities in the world. He was listed as one of the Top 10 authorities on Social Selling by Forbes. He is among the world’s most recognized social media authorities and has been a keynote speaker at conferences such as Social Media Week London, SXSW, National Economic Development Association, Word of Mouth Marketing Conference Tokyo, PR News, and the Institute for International and European Affairs. Mark has lectured at Oxford University, Princeton, and many other prestigious institutions. Mark is a popular and entertaining commentator and has appeared on many national television shows and periodicals including the Wall Street Journal, Wired, The New York Times, CNN, National Public Radio, CNBC, the BBC and the CBS NEWS. He is a regular contributing columnist to The Harvard Business Review. I think it is hazardous to consider yourself an “expert”in anything related to marketing these days! It is changing so fast. I have been in marketing for more than 30 years and knew that to stay on top of what was happening in social media I had to actually DO this stuff. So I started a blog, eventually a podcast, and became active in the various channels. Today I consult with large brands on social media marketing (as well as digital strategy in general) and I also teach at the graduate student level. To work at that level, you have to stay on top of your game, and that drives me to be constantly exploring, reaching, learning. The amount of content I’ve created over the past ten years cold fill many volumes but I think there are certain themes that mark my work, and probably represent my passion. The first would be to use technology to tear down barriers between people, not build them. Frankly, I think in many respects marketing is broken today. We annoy people, badger them, interrupt them. Are strategies are driven by SEO priorities, A/B testing, dashboards and data analysts instead of customer common sense. This is going to have to change. Another theme is the need for a more human approach to marketing. In 2010 I wrote business is not about B2B or B2C, it is about P2P — connecting people to people. I believe this is more true than ever, and more important, I really see it happening at companies of every size. A third theme is empowerment. We live in the most amazing time. I have built a business, a reputation, and global friendships through social media. Some may view social media as silly or little more than cat videos, but we are living in a historically important time when the power has shifted from Madison Avenue to Main Street, from corporate power brokers to passionate bloggers. There has never been a more exciting time to be in marketing! I admire Jay Baer for his wholly original thinking. I am grateful for the way Christopher S. Penn holds marketing accountable to data-driven business results. Gini Dietrich inspires me to show my human side more, which is difficult. Mitch Joel constantly challenges me with new ways of thinking. Andy Crestodina is practical and honest with his insights and writing. Jay Acunzo is bright new light in the field with a refreshing perspective. Mari Smith is so immersed in the Facebook world that you have to pay close attention to her observations. Steve Rayson provides incredible data-based insights through his work in content marketing. Brooke Sellas is in the trenches and writes with great insight about actually doing the social media work today. Ann Handley is simply wise. I trust her advice on any business matter. Kerry Gorgone is a trusted colleague in the marketing space. I’m sure I’m missing quite a few here but these are at the top of mind. The most influential person in my professional life has been Peter Drucker. I studied under him for three years and his books continue to inspire me today. Tom Webster is VP of research for Edison Research. He is so smart on so many topics and I can count on him for cutting-edge business insights. I am a long-time fan of Bruce Springsteen. His new book is amazing. I wish I could write like him! I am a huge Malcolm Gladwell fan. You can see his influence in my books. Author and consultant Robert Cialdini is a person I admire with the way he has blended academic rigor with writing, consulting, and business-building. I’m not sure it will be 12 months, but let’s say 12-24 months there is going to be some consolidation in the industry. First, there has to be a shake-up in the martech space. Too many companies all doing the same thing. I think AI will force change there. Twitter and Snap will not survive as independent companies. Tencent recently bought a share of Snap which is significant since that is a Chinese investment in an US-based platform. Tencent, Facebook, and Google will probably make more global investments like this. My sweet spot is strategy development. I see things that other people don’t see and I have a great legacy of creating social media marketing strategy success. I am also a very popular keynote speaker and I really enjoy that. Many companies also hire to run workshops on social media, content marketing, and digital strategy.